Around 140 artists have called for a boycott of the 2019 Eurovision Song Contest, which is to be held in Israel. A letter published by The Guardian, a British daily, signed by 140 musicians, writers, actors, directors, novelists, and poets demanded the song contest to be boycotted if it is "hosted by Israel while it continues its grave, decades-old violations of Palestinian human rights." Among those who signed the letter were 6 Israeli artists Aviad Albert, Michal Sapir, Ohal Grietzer, Yonatan Shapira, Danielle Ravitzki and David Opp. 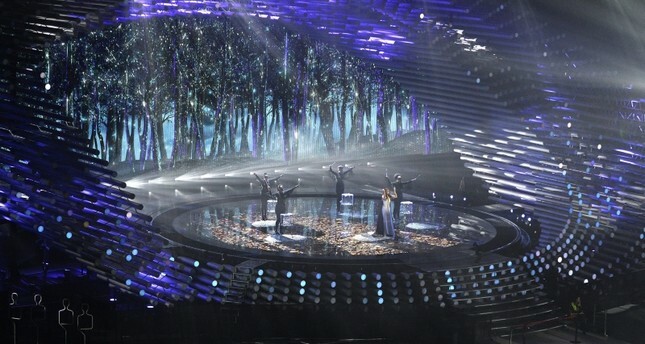 "We, the undersigned artists from Europe and beyond, support the heartfelt appeal from Palestinian artists to boycott the Eurovision Song Contest 2019 hosted by Israel," the letter read. The letter said that "until Palestinians can enjoy freedom, justice and equal rights, there should be no business-as-usual with the state that is denying them their basic rights." "On 14 May, days after Israel's Eurovision win, the Israeli army killed 62 unarmed Palestinian protesters in Gaza, including six children, and injured hundreds, most with live ammunition. "Amnesty International has condemned Israel's shoot-to-kill-or-maim policy and Human Rights Watch described the killings as 'unlawful and calculated'." Musician Roger Waters, director Ken Loach and author Yann Martel are also among those who signed the letter. The letter said the European Broadcasting Union "should cancel Israel's hosting of the contest altogether and move it to another country with a better human rights record," as changing the location from Jerusalem to a "non-divisive" location would not be sufficient. In May, at least 62 Palestinian demonstrators were killed and thousands more injured by Israeli armed forces along the Gaza-Israel fence, according to the Palestinian Health Ministry. Thousands of Palestinians had gathered on the Gaza Strip's eastern border to take part in protests marking the 70th anniversary of the founding of Israel -- which Palestinians refer to as the Nakba, Arabic for "Catastrophe" -- and protest the relocation of the U.S. Embassy from Tel Aviv to Jerusalem. Since the Gaza rallies began on March 30, more than 100 Palestinian demonstrators have been killed by Israeli army gunfire. The Israeli government came under international criticism over targeted killings during the protests but it claimed the border protests constituted a "state of war" in which international humanitarian law does not apply.